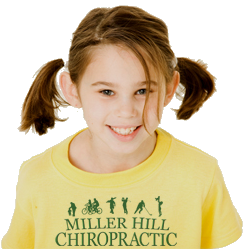 Children come in with the same issues as adults: back and neck pain, headaches, injuries, etc. 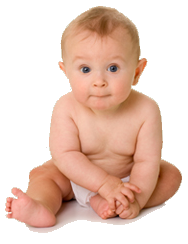 Chiropractors are also known for seeing children with issues such as colic, repeated ear infections, or even allergies. Why is this? Disruptions in the function of the spine (bones of the back and neck that house the spinal cord) often lead to issues in the spinal nerves. These nerves don't just lead to muscles and pain sensors; they lead to every organ in your body. This can result in a wide variety of issues. Checkups for children are very important as they are growing and developing. Why would a child have spinal issues? Spinal trauma in children usually begins from day one. If you've ever seen the birth process, you realize how that the phrase 'birth trauma' is not a misnomer. After this, childhood is full of stressors: repeated falls, temper tantrums, etc. Just think how many times a child hits it's head in any given week. Children aren't immune from these things taking a toll – just as they do in adults. This depends on the size of the child. Infants are treated very gently. Adjustments only take a small amount of pressure in specific area of dysfunction or a light tap with an instrument. Older kids eventually will be treated just as adults – though every person is treated individually, as every person and case are different. Usually, issues resolve quicker in children as they have had less years of abuse on their bodies.